This article originally appeared on TuneCore. Featured artists, session musicians, and master-sound-recording owners, typically record labels, are entitled to an additional royalty stream that artists and sound recording owners within the United States are currently not receiving. This additional revenue stream is referred to as “neighboring rights” royalties. In recent years, this revenue stream has become a valuable source of additional income for non-U.S. citizen performers. It is reported that neighboring rights generates over $2 billion per year. 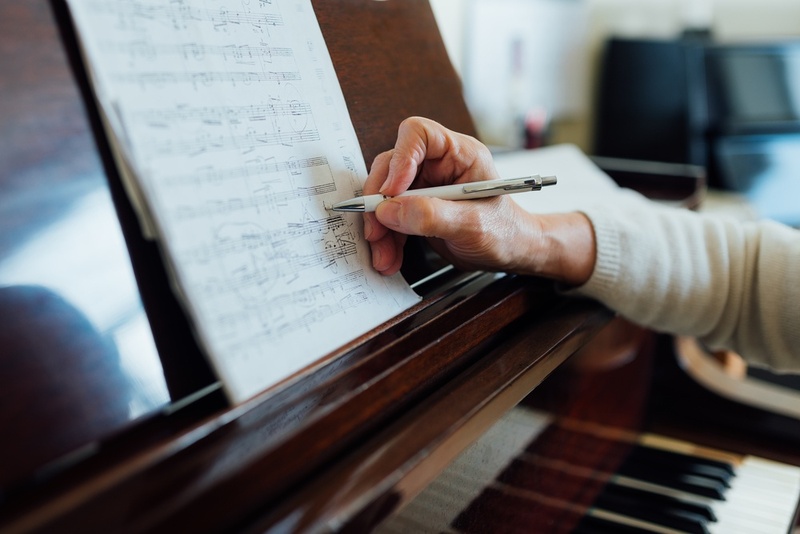 It is well established within the music industry that there are two copyrights in music, the underlying musical composition (“PA”) and the sound recording (“SR”). The underlying musical composition is usually exploited by a music publishing company and songwriters. They receive public performance royalties from a Performing Rights Organization, such as ASCAP, BMI, or SESAC in the US. The sound recording is typically owned by a record label, which receives their rights from the featured vocalist on the track. “Neighboring rights” are monies distributed to musicians and master-sound-recording owners when a work is publicly broadcast or streamed. The concept of “neighboring rights” is derived from copyright law and has been applied to many countries through the signing of the 1961 Rome Convention. The Rome Convention treaty was enacted to provide featured performers and session musicians with an additional revenue stream when their works are publicly performed. To receive “neighboring rights” royalties, the Rome Convention treaty mandates that a featured performer, studio musician and master sound recording owner must be a permanent resident of one of the signatory countries. Some signatory countries include Canada, the United Kingdom, Australia, Germany, Japan, Greece, France, Hungary, Italy, Sweden, Switzerland, Spain, and Poland. In Rome Convention signatory countries, neighboring rights collection societies, similar to the United States' ASCAP and BMI, collect and distribute “neighboring rights” royalties to their members. Since collection societies vary in different countries, a musician must register the individual master recordings with each collection society in all of the countries that their track is receiving airplay in to receive full payment. For example, the performing rights organization that distributes neighboring rights royalties in the United Kingdom is PPL; in Germany, it is GVL; in Spain, it is AIE; and, in Canada, it is the Recording Artists’ Collecting Society (RACS), which is a division of the Alliance of Canadian Cinema, Television and Radio Artists (ACTRA). As discussed earlier, the United States is not a signatory to the Rome Convention treaty. Since the US is a non-signatory country, US-citizen musicians do not receive any neighboring rights royalties. This is due to a concept called “reciprocity,” which means that because the United States does not pay neighboring rights royalties to non-U.S. citizens, those countries refuse to pay neighboring rights royalties to US citizens. This has put US musicians, especially those who are solely featured vocalists and studio session players, such as many of today’s pop stars, in a bind by limiting most of their income to only record (which have steadily declined) and touring sales. There are various reasons why the US did not become an initial signatory to the Rome Convention treaty. One suggested justification is that radio station lobbyists fear that terrestrial radio stations would then have to pay additional license fees, essentially doubling its current fees. This additional expense may could result in a severe strain on their already dwindling business. The broadcasters are a significant lobby. Others counter this argument by saying that radio stations are predominantly kept in business by the music they play and without the master sound recording copyright owners, featured artists, and session musicians’ creations, the radio station would have nothing to air. Although American law does not currently recognize neighboring rights for a terrestrial broadcast such as traditional radio stations, the “Digital Performance Rights in Sound Recordings Act of 1995” was established in an attempt to compensate featured vocalists for the digital public performance of their work. This act allows US musicians and master rights owners to collect royalties on digital performances of their work through satellite radio and Internet platforms. This includes royalties paid by music streaming platforms such as Pandora and Spotify as well as satellite and Internet radio stations, such as Sirius XM. These royalties are collected and distributed through the licensing organization, SoundExchange. While American musicians can now collect digital performance royalties with the passage of this act, they still cannot collect royalties on terrestrial broadcast platforms. This means that US musicians who are only featured vocalists still only receive half of the potential revenue streams available to them that other non-American vocalists do. As recently as 2017, legislation called the “Fair Play, Fair Pay Act” has been discussed before the US Congress with the intention of remedying the issue of neighboring rights. However, to date, no progress has occurred and it seems that no immediate movement is on the horizon. The lack of this income stream has widespread effects on US musician’s earnings. In fact, according to Niels Teves, co-CEO of Fintage House, the inclusion of neighboring rights could potentially “double the size of [the US] annual market,” an industry severely in need of a monetary infusion. Neighboring Rights are untapped revenue streams for many featured musicians and master sound recording owners. Unfortunately, most of this revenue is left unclaimed due to a lack of reciprocity between signatory and non-signatory countries. In order to help accelerate the music business’ recovery, copyright owners should attempt to apply additional pressure on the US Congress to enact the “Fair Play, Fair Pay Act” or some variation of it. This would hopefully give musicians and sound recording owners their due royalties and compensation guaranteed under the US Constitution. This article is not intended as legal or business advice, as an attorney or other professional specializing in the field should be consulted. Justin M. Jacobson, Esq. is an entertainment and media attorney for The Jacobson Firm, P.C. in New York City. In 2012, TuneCore published an article titled “Neighboring Rights: What They Are & Why They Matter”. This newest installment includes a current exploration of today’s neighboring rights, including which countries currently provide them and which don’t. It also explores recent United States’ legislation that has been discussed in an effort to extend “neighboring rights” to US citizens; as well as a discussion on the current financial impact these royalties have on the world-wide music business. It expands on the existing material while reinforcing the information it provides.